Ok, I don't know about you, but these days when I get up to do this blog I keep wondering if I'm living in some alternative reality. Some days when I re-read the postings and the articles linked to them I wonder if this blog's contents can't qualify as a pure work of fiction. I teach Literature from time to time....and the books I focus on look at leadership, politics and social conditions since Independence. None of the books paint a pretty picture....and this blog is beginning to read like them. Corrupt leaders, creeping dictatorships, a citizenry fooled en masse by a political elite hungry to retain power at all costs, a population so desperate for deliverance it trusts any charlatan priest, prophet or politician that pops up.....I'm referring to the books....if any of it seems familiar to you, start getting worried! I feel tired, defeated and depressed about reading the papers and listening to the news. And today was no different. Since last week, I've been looking at Ian Alleyne be treated as the next messiah...all that was missing in his triumphant march through Port of Spain yesterday were palm branches and a jackass....ok....just palm branches. But as much as I find some aspects of Alleyne's show and his public posturing crass and vulgar, I see quite plainly why he is so popular. He appears to be performing...Alleyne seems to be doing for members of the poorer classes, what the police and government seem unable to do...fight crime. 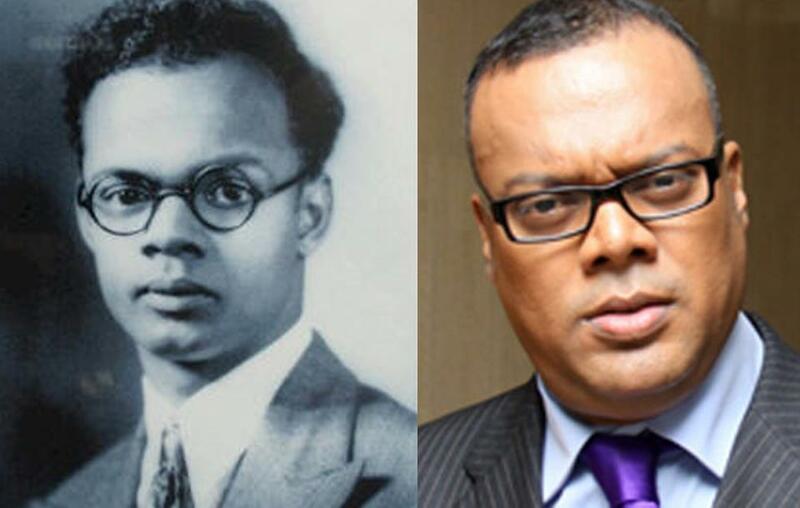 If ever there was a poster boy for "perception is reality" Ian Alleyne is it! And his success here just shows you how far we have fallen as a society. Alleyne sullies crime scenes, has no real conviction rate to speak off and breaks laws such as the Sexual Offences Act....and people are actually rallying to his side and asking that he be given a bligh because he solving crime and is the "voice of the poor man". His popularity has become extremely dangerous....so much so, that an arrest of Alleyne for an obvious infringement of the law is now made to be look like the suppression of a voice that speaks out against the government. And it is in this way that I believe Alleyne is a threat to the current govt. Ian's support base is far more diverse than anything the UNC or PNM can lay claim too.....Ian has the support of the urban and rural working class....which doesn't know colour and creed....it knows poverty and suffering! I watched the candlelight vigil on the Brian Lara Promenade a few nights ago and the small crowd that gathered there is an example of his support base. Then watch the make up of the crowd that went to his court hearing. In a matter of hours on the evening of his arrest Ian Alleyne managed to rally a support base over an alleged injustice much faster than any Motion of No Confidence or corrupt act of this govt. Alleyne, the grandcharging, loose talking host of Crime Watch is more of an Opposition to this current govt than the actual Opposition Leader is....and that's why there'll be candle light vigils for Ian, who has broken laws, than there will be for The Keith, who trying to get this govt to stop breaking laws! So the AG, who seems to have a mancrush on The Keith is claiming he paying to harass the Opposition Leader out of his own pocket. Devant Maharaj seems to want in on the action, even if it might mean sloppy seconds.....And I pretty sure that other members of this government probably circling to see how they could be a part of this parry and thrust with the Opposition Leader. What confuses the Pantomime is what the government is objecting to. Is it not The Keith's job to raise questions about the practices of the Government? There are citizens of this country who have serious questions about the non-extradition of Ish Galbaransingh and Steve Ferguson. We have serious questions about why under this current AG the prosecution team the state had chosen...that had been pretty successful in pursuing the extradition case was at the last minute changed....and it appears to some that a less competent team was appointed to prosecute by the current AG. I think instead of the AG deflecting the issue with a lawsuit, he should answer those questions. Ish and Steve mad mas with public money and the public has a right to know! The public also has a right to know precisely what the AG is doing with the budget of $90m plus that he has at his disposal. I find it extremely discomfiting that this government seems to think that citizens don't have a right to know what's being done with its monies. Further, I find it disconcerting that when the Leader of the Opposition does what the Opposition is meant to do (that's why there was constitutional reform in 1956 to create a strong Opposition &&) this current Government seems to want to shut down and shut up the opposition....almost as if they don't want to be opposed or kept in check at all. And this attitude spreads to their treatment of the media. In not advertising with certain media houses they are attempting to cripple them...without revenue how can these media houses function and pay their reporters who are meant to ask the relevant questions? The PM is currently suing the Express for allegedly maligning her image in a news story that I'd say was mischievously worded....ever desperate Fitzgerald Hinds is now being brought before the Privileges Committee for quoting from the newspaper article.....mind you both Moonilal and AG Ramlogan have been caught misrepresenting evidence....oh, who am I fooling....lying in Parliament on Noel Garcia and Brig Joseph respectively....and no one has brought them before the Privileges Committee for abusing Parliament's protection. When you look further, the many police raids of media houses also seems to be a state influenced attack on freedom of expression. The govt has come out to decry such police raids....but remember that the ACIB was a bureau that fell under this self same AG....and when the media got a hold of that information this self same AG pretended to know nothing about the unit falling under his jurisdiction and he immediately asked the PM to remove it from his purview. This very government has also, within the last week restructured the format of the Joint Select Committee...there is no longer a need for Opposition or Independent members on the committee...it is now strictly a government quorum...this is the committee that weighs in on government contracts and procurement. So now they've got carte blanche. At every turn this government seems to be lying, remains unaccountable and further to that angry and upset when institutions that are meant to keep them in check: Media and the Opposition, question their behaviour and activities. What does that tell you about Kamla and her small goal side? Does any of this sound anti-democratic to you? It certainly does to me.